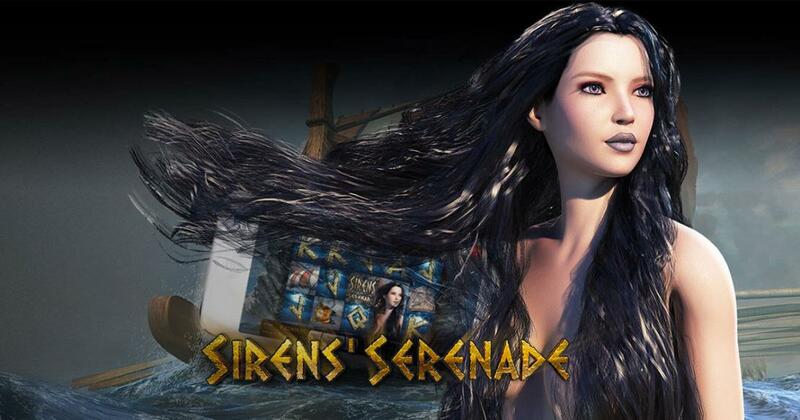 Genii’s Sirens’ Serenade is a game where the action revolves around mythical creatures, the sea nymphs that used to lure sailors to their deaths. Siren’s Serenade has its roots in the old stories, some even going back all the way to Ancient Greece. It’s there, in the stories of those ancient sailors and traders, that we first find out about the dangers of the seas at the time, and of the Mediterranean in particular. The siren was a creature that took the shape of a beautiful woman, and which used to attract sailors. They would run their ships aground in their attempt to reach the seductive creatures, and they would die. The game’s design revolves around these stories, but the focus in the symbols seems to be mostly on the sail ships of the time. While we get one of the major symbols with a beautiful Siren in it, the others are getting images of a trireme’s side, of its flag, sails and of local maps. Several playing cards are also available in the game. Among the major features that were introduced with Sirens’ Serenade, we found the Double High wild symbol, the scatter, free spins and x2 multipliers. Wins of up to 52,125 coins are promised. You can expect this to be a slot with 5 reels that get 25 active lines. You don’t have to spend a lot of money to get started with this slot, but at the very least you will need a wager of $0.25 in order to spin its reels. At that point, each line would get only one coin, of the lowest possible value, at $0.01. At its highest, you can get a line bet of 5 coins of $0.25 each, so a total of $1.25 may be used for a single line and $31.25 for all of them. One symbol of note is the Double High Wild, a stacked wild feature which you have in the role of the substitute and also as a trigger for a payout of up to 1,500x. Having multiple scatter symbols with the Cliffs that the sailors would hit during storms means that you will get 10 to 18 free spins out of the game, along with a multiplier of x2 that is used on all your wins from that feature. Sirens’ Serenade is interesting enough thanks to the theme it uses, but the focus is not on the sirens as much as it is on the ships that are destroyed, and the features feel average for a modern slot. Try of out a demo version of Sirens’ Serenade.